For this year’s CBB awards, 2013 model year cars and trucks were analyzed to determine which vehicles retained the highest percentage of their original MSRP after four years. For ALG’s residual value awards, recognition was given to vehicles from the 2017 model year that are forecast to retain the highest percentage of MSRP over the next three years. Toyota Canada Inc. (TCI) is the exclusive Canadian distributor of Toyota, Lexus and Scion vehicles. 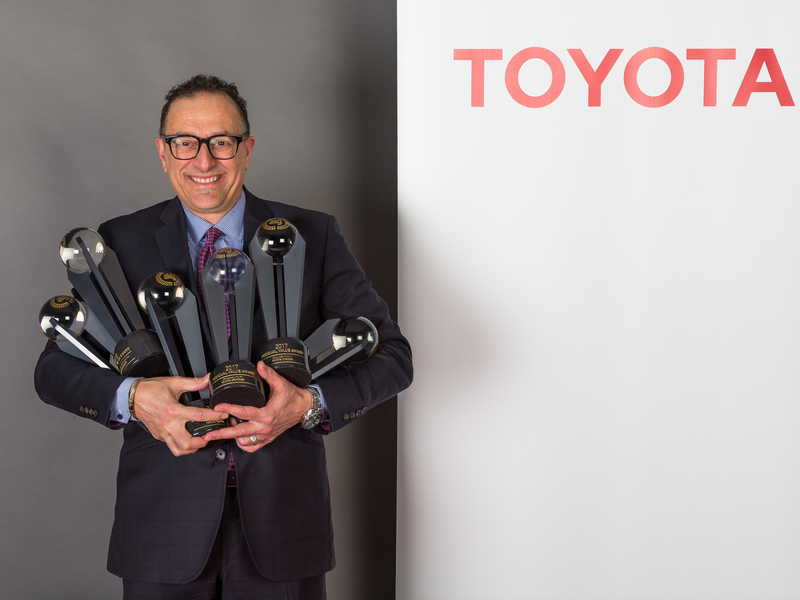 Toyota has sold over 5 million vehicles in Canada through a national network of 287 Toyota, Lexus and Scion dealerships. Toyota is dedicated to bringing safety, quality, dependability and reliability in the vehicles Canadians drive and the service they receive. TCI’s head office is located in Toronto, with regional offices in Vancouver, Calgary, Montreal and Halifax and parts distribution centres in Toronto and Vancouver. Toyota operates two manufacturing facilities in Canada. Having produced more than six million vehicles, popular Canadian models built at these facilities include Toyota RAV4, Toyota Corolla, Lexus RX 350 and RX 450h hybrid.